This showcase features the Colonels own pet project, the Nubians ! Basically a mix of Darkest African tribesmen, ferocious pygmies and Arabian (K)nights (via Sassanid Persia), with flying fakhirs on magic carpets. Hopefully you'll get the idea once you've seen a few pics… Open sesame! 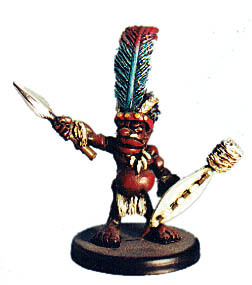 First up are the superb Foundry miniatures 'Masai Warriors' - the look & colour of these guys in their feather head dress was so cool I had to have 'em - after that it was just a case of dreaming up a fantasy army to squeeze 'em in ! 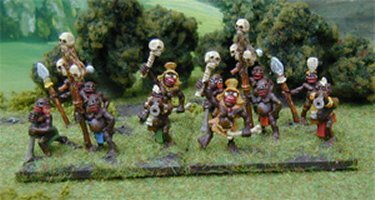 Add a few 'Witchdoctors' to the brew and you have a great looking force. 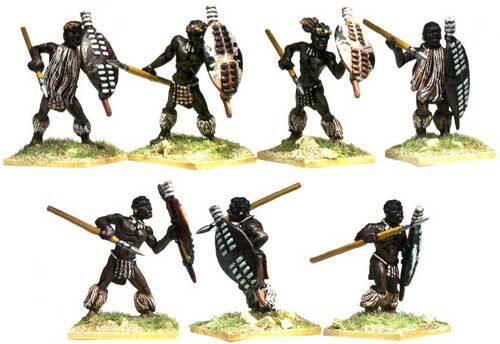 Icon also do some great Zulu's which fit in perfectly…. 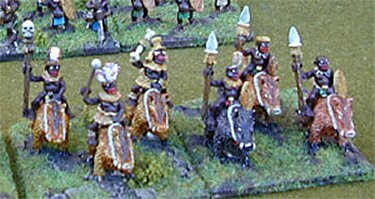 Of course no Nubian force would be complete without some fearsome pygmies, or indeed pygmy boar riders !!! These are from Kallistra ( http://www.kallistra.co.uk/ ) and are excellent (pics aren't great & the paint job is poor, but trust old Marbles, these are nice !). 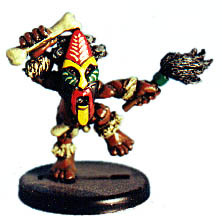 GW did some cool pygmies many moons ago but don't have any images of them at present. Of course, naked tribesmen armed with sharp fruit are just gonna end up getting their arses kicked, which is where your Arabian knights come in - heavily armed & armoured Arabs (ok Sassanid Persians since you ask) ready to ride roughshod over the enemy (& your own tribesmen no doubt..). 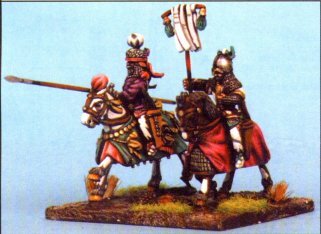 These Sassanid cavalry and infantry are by Gripping Beast - just beautiful figures ! 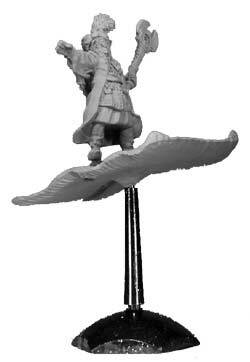 A&A miniatures also do some great Sassands …. 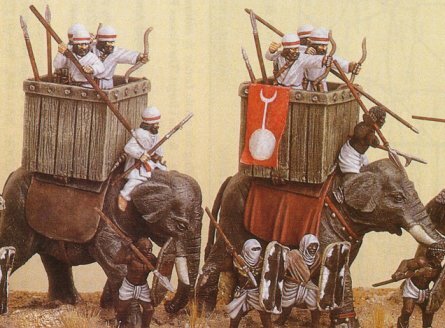 Of course, no African army could possibly exist without Elephants !! Or shall we call them Mumakil ?? These are from Gripping Beat (resin) & very nice they are too.